The airline Jet2.com will grow by 25% this winter in Malaga and will introduce for the first time flights to Malaga in low season from Edinburgh, Manchester, Newcastle and East Midlands. This increase in routes involves an important step for the capital of the Costa del Sol to which this company was flying in winter only from Leeds. In addition, Jet2holidays will be one of only two tour operators offering vacation packages on the coast of Malaga during this period. The new strategy will begin on February 9 with flights from East Midlands. Then, on February 14 with the route from Newcastle, which will provide 7600 seats. A day later will resume flights from Manchester. 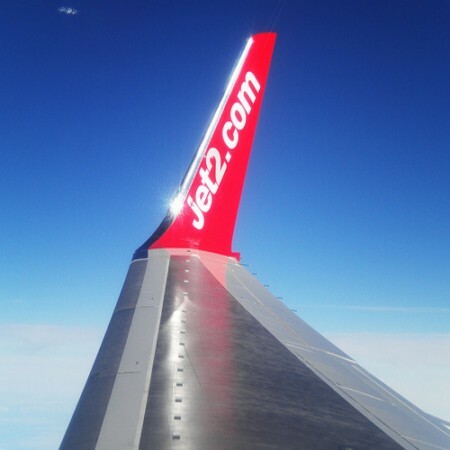 Apart from Malaga, Jet2.com is present in ten other Spanish airports: Barcelona, Gran Canaria, Ibiza, Lanzarote, Menorca, Murcia, Palma de Mallorca, Alicante, Reus and Tenerife. According to figures from the airline, it operates a total of 68 routes from Spain to its eight UK bases, and to date has transported eight million passengers between the two countries.